The first 10% of our income is considered holy and already belongs to God. 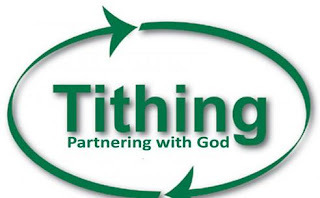 If we make a profit out of our tithe, we must give the Lord an extra 5%. ‘All the tithe of the land whether of the seed of the land or of the fruit of the trees is God’s. It is holy to God. If a man redeems anything of his tithe, he will add a fifth part to it. All the tithe of the herds or the flocks, the tenth will be holy to God’ (Leviticus 27:30 to 32).